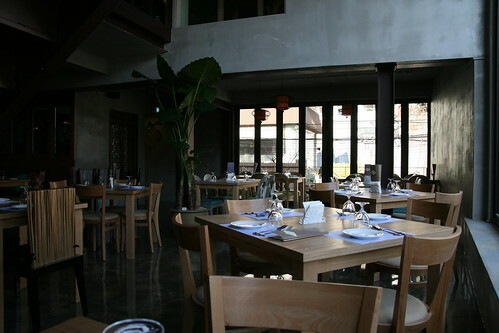 Strolling around Itaewon today, I noticed a new restaurant has sprung up in the neighbourhood: Spice Table Asian Dining & Bar. This three day old venture by the owner of Korean bbq place Don Valley offers an interesting menu of fusion Asian dishes and on a recommendation by the waiter I went for the stir fried beef in black bean sauce with asparagus (25,000 won). Service was good and the waiter spoke excellent English, he was kind enough to bring out a complimentary salad with my food. 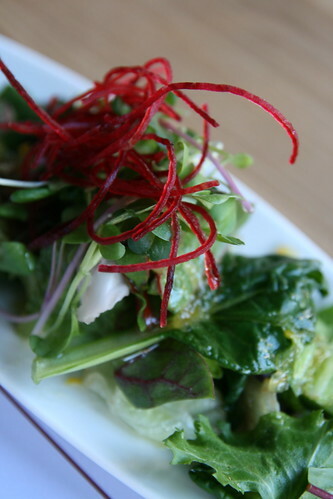 A pleasant combination of mixed greens with an interesting 유자 (citron) dressing. 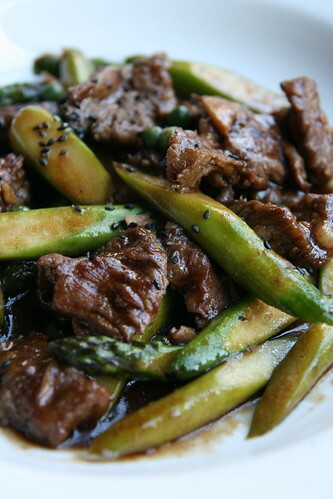 The main dish itself tasted delicious, the combination of beef and asparagus blended well with the black bean sauce, but it was hindered slightly by some very powdery peas. The beef was a tad chewy, however, the flavours worked very well together. Presentation is excellent at the Spice Table and over the coming weeks I'm hoping it will turn into an interesting place to hang out. 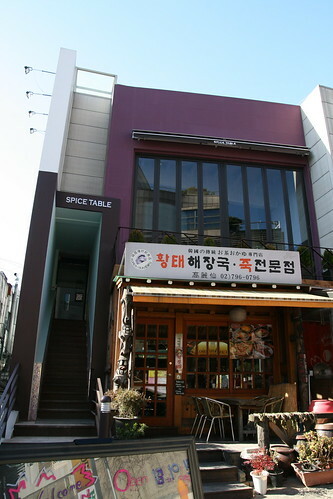 To get to the Spice Table head out of Itaewon station towards Hangangjin and turn left after Kraze Burger. 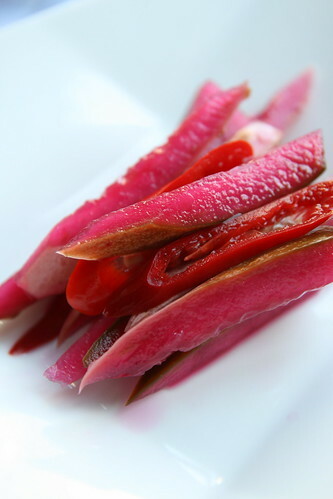 Spice Table is on the left hand side directly opposite Los Amigos and CasAntonio. You can call them on 02 796 0509.